The charity gift would provide canine companions for disabled veterans, as well as adults and children. Snoopy is a veteran of many battles with the Red Baron, so he understands the needs of combatants who have come home to little or nothing after their service. That is why an announcement by Snoopy Pop publisher Jam City is so appropriate. It will donate $100,000 from the mobile game's microtranactions to Canine Companions for Independence. The not-for-profit charity trains rescue dogs as companions and provides them to veterans with disabilities, children and adults for free. Its chairman emeritus is Jean Schulz, wife of the late Peanuts creator, Charles Schulz. “Supporting Canine Companions for Independence has a special place in my heart, and this Snoopy Pop collaboration is a fun way to do just that,” Schulz said in a press release. 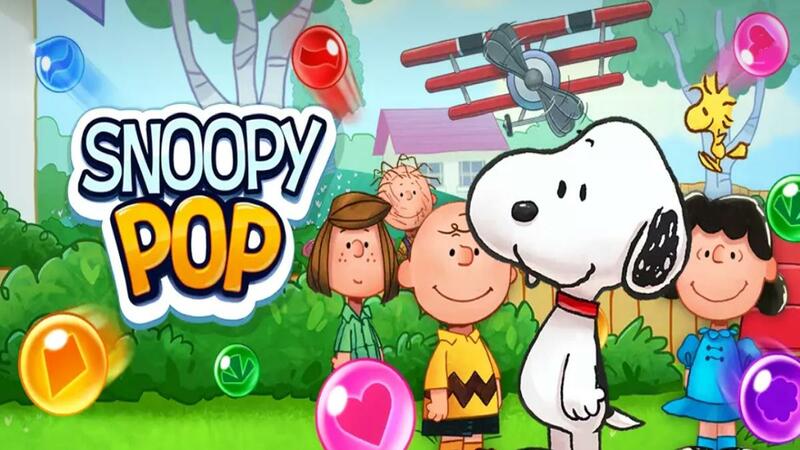 Snoopy Pop is a free Breakout-style mobile app for iOS and Android where Snoopy tries to save Woodstock and friends from bubbles they are trapped in. Players can use real money to purchase in-game currency, which in turn can be used for boosters and extra lives. Coins are as cheap as 35 for $1.39 to 4,590 for $139.99.